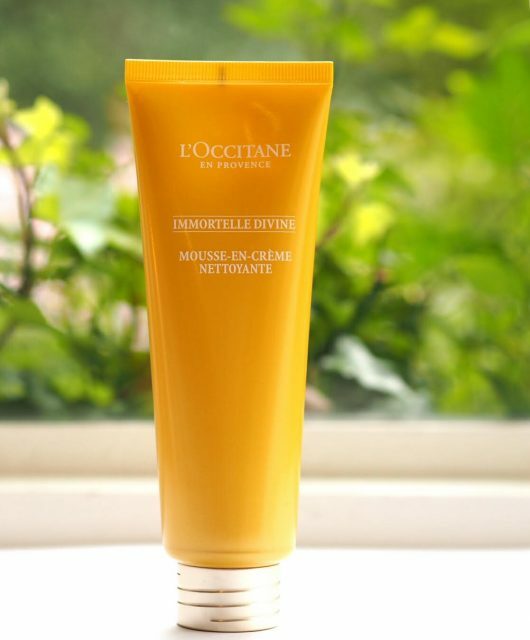 It’s difficult to actually ‘review’ sunscreen especially as we’re not exactly basking in rays in the UK at the moment! 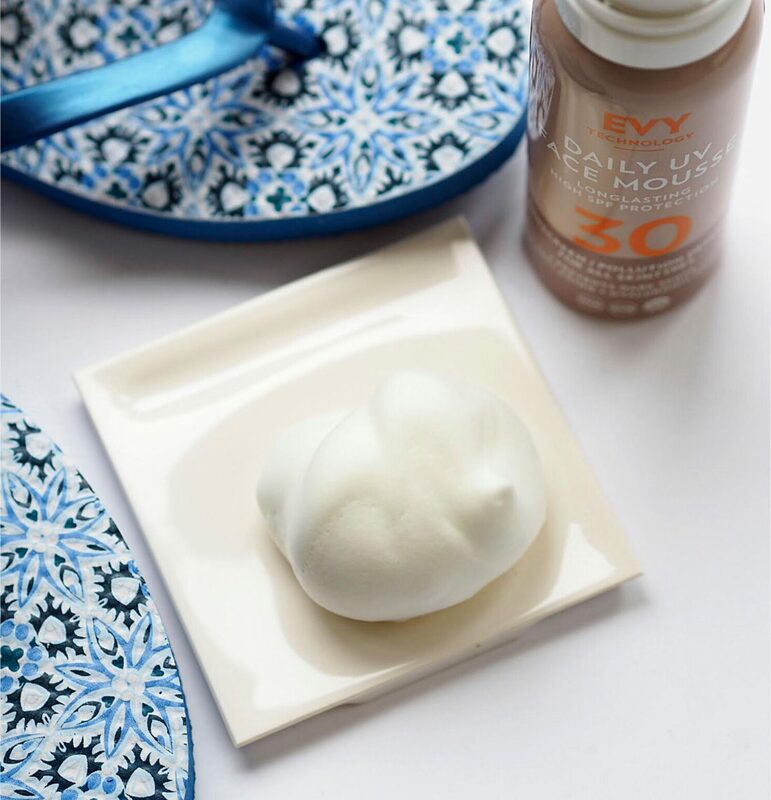 However, this new sunscreen from Swedish brand, EVY Techology, is different in that rather than sitting on the surface, the mousse is absorbed into the entire top layer of the skin. The mousse feels different to any other sun care that I’ve used. It doesn’t feel oily or greasy or even anything much like a traditional sunscreen. It feels more skin care than anything, and decent, high-end skin care at that. When you think about protective barriers, you think heavy (I think it’s the word ‘barrier’) and this is far from that. 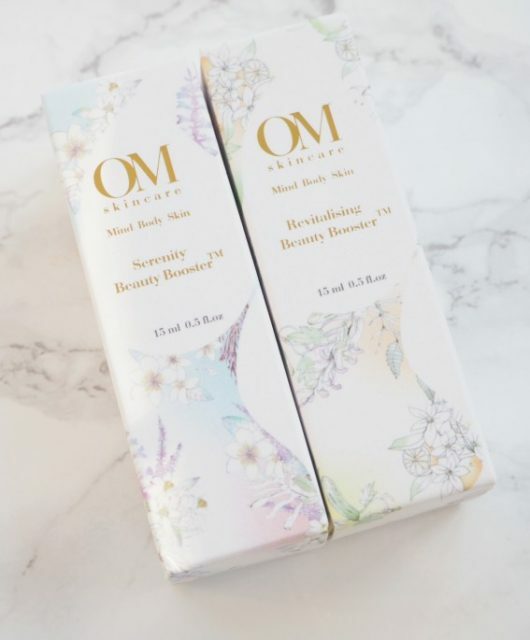 The big thing is that you can tell that your skin can breathe because it’s not cloying or sticky – that’s a massive plus if you can’t bear to put anything on your hot skin when the temperature rises. Once its on, your skin just feels hydrated and soft and not loaded with product. 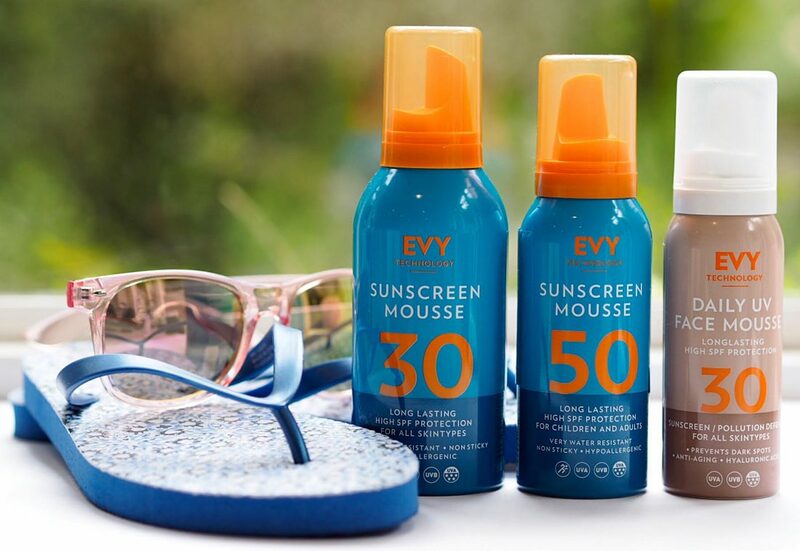 EVY indicates a 6 hour protection – long-stay sunscreens get a bad press because they rarely last as long as they should and they also trick you into thinking that you don’t need to be as vigilant in the sun. I mean, who counts the hours when the Margueritas arrive? 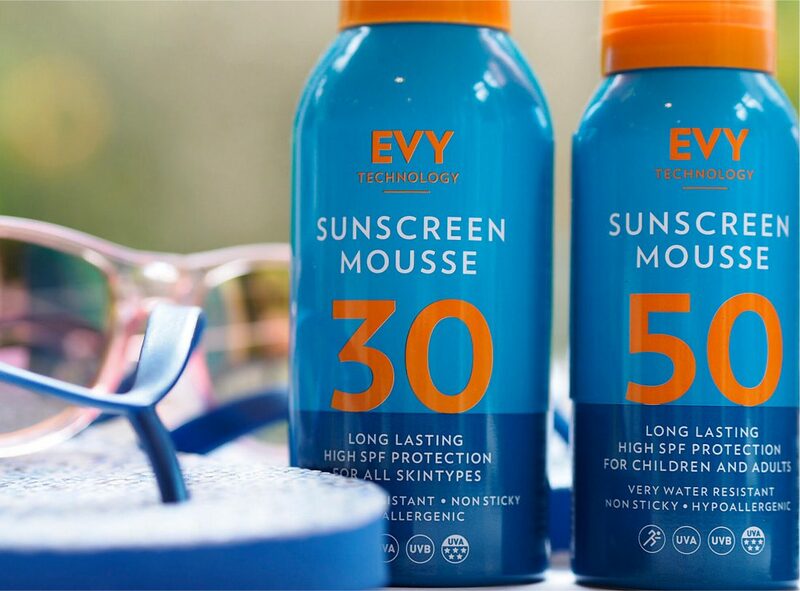 Because of the way EVY is absorbed into the skin, it provides water-resistance (it’s not a wet-suit – nothing gives full waterproofing so be sensible and reapply if you’re in the water for a while) and more reliable longer lasting protection. If you think the 150ml cans look a bit small, bear in mind that it’s mousse, so you’ll get around double the amount when it comes out of the can. 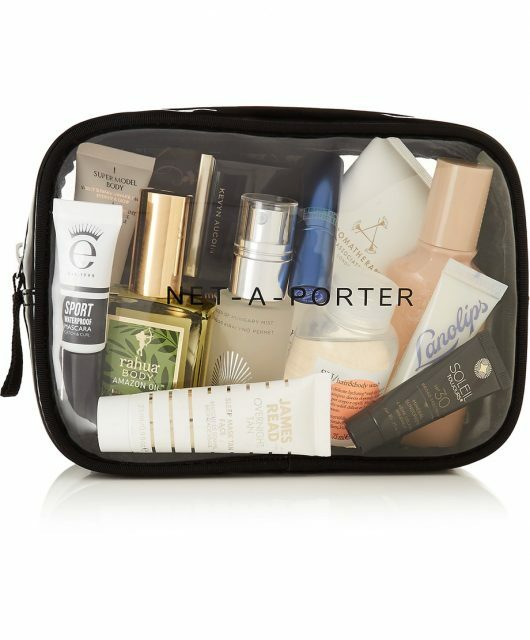 I think they could do with some 100ml for carry-on to be honest.. I love the idea that a product doubles in amount but bypasses the airport rules. Because it’s suitable for sensitive skin (no fragrance or preservatives), I’ve promised this to Lucy to take on her holiday next week but I’m regretting it already because I want it, especially as I’ve just spotted you can wear it over or under make up! 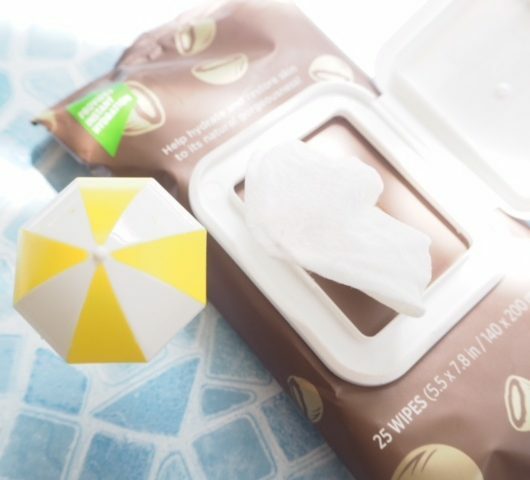 This is a huge recommend from me – it’s super impressive (you can read up more about it HERE) and one of the least obtrusive textures for a sun screen I’ve ever come across. 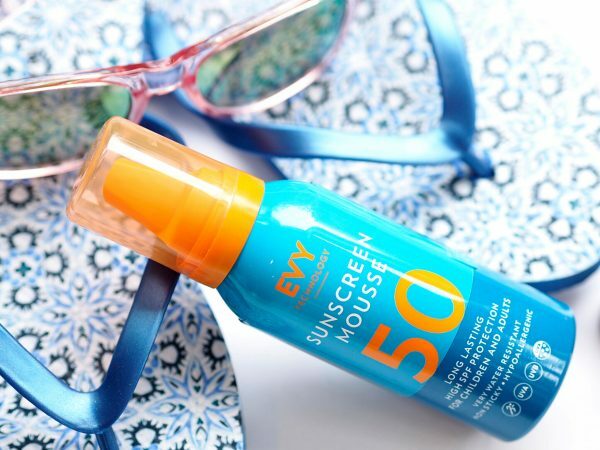 The SPF on the bottle only indicates UVB protection, for example 30. 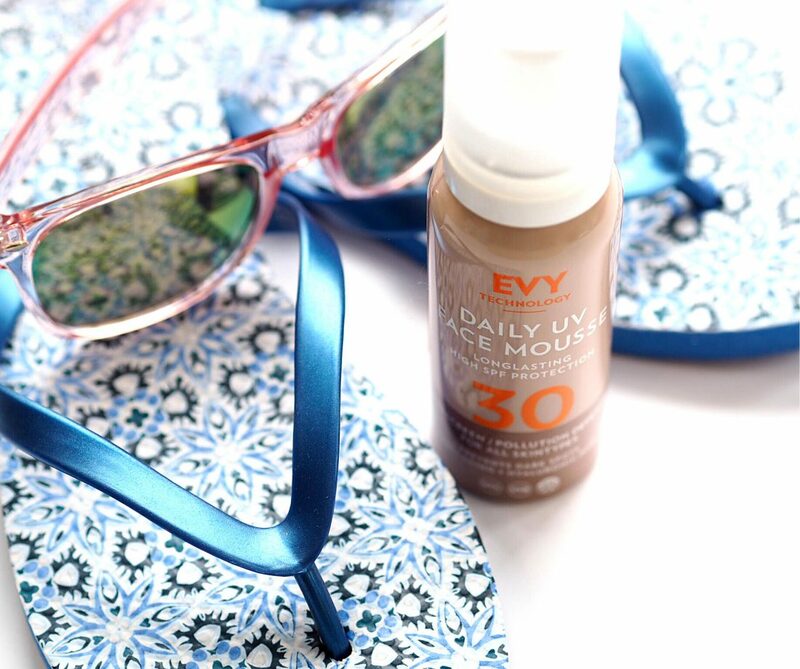 Our UVA protection is thus over 90% of SPF30, or 90% of 97% UVB protection. We follow Boots’ standard for UVA and give the highest possible protection: 5 stars. Here in Sweden one can sometimes find small purse sizes of the body version with 45 ml in the drugstores and some other boutiques. Personally I prefer the face version on my body because I find it’s less sticky. On my face however I prefer a traditional sunscreen. It was too weird putting mousse on my face. Oh .. that’s good .. a 45ml version. I didn’t find it at all sticky to be honest… but maybe I would more so on a very hot day. I used to buy something similar back in the day called Proderm. It was fabulous. For someone who regular got sun rashes, I never got any with this. And I never burned. I see EVY is available for cheaper on Amazon. Evy IS Proderm – renamed and rebranded! I’ve never seen margaritas spelt like that! This looks interesting, I actually spent hours researching spf as its so complicated (only need to read the end ‘description ‘ to be bamboozled further!) and I opted for Ultrasun glimmer as it seemed to be a nice reliable spf, with a bit of glitter. Might check this out for my next holiday though! Hi Jane, did you see Hawaii has banned chemical sunscreen? Interesting times! 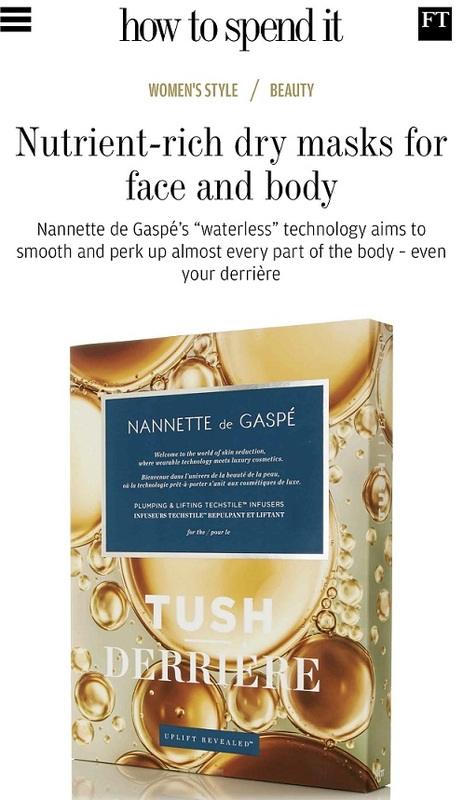 Jane, do you know if it has to go onto clean skin and when you would fit in your serums etc? Looks fantastic and just what I’m looking for! You can try it over other things to see how it interacts, but perhaps save serums etc for night time. My skin felt moisturised by it to be honest so I didn’t feel the need for anything else. 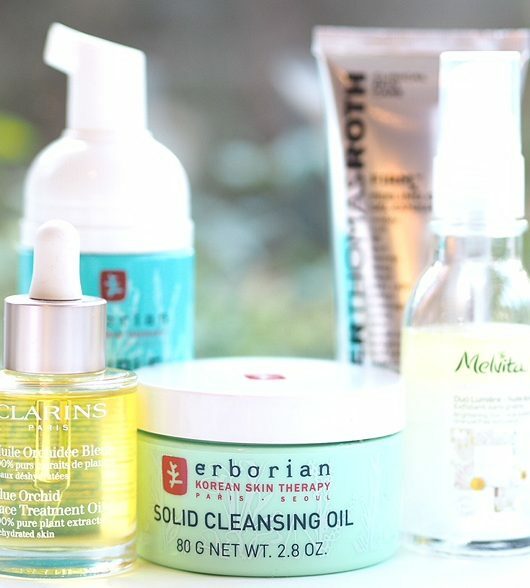 If you do want to use a day moisturiser or day serum, use it a good while before adding the sunscreen. Success will depend upon whether the compositions of the various things blend together well – if there is any silicone in the mix, you may get those squirls but otherwise, if it feels ok to you, then there isn’t a reason not to.